Was standing at a carpark, and looked out. Ah.. building with colourful windows. This row of shops are actually restaurants along Cuppage, an area near The Centrepoint and Starhub Centre. hi, found your site through Paris Daily Photo. 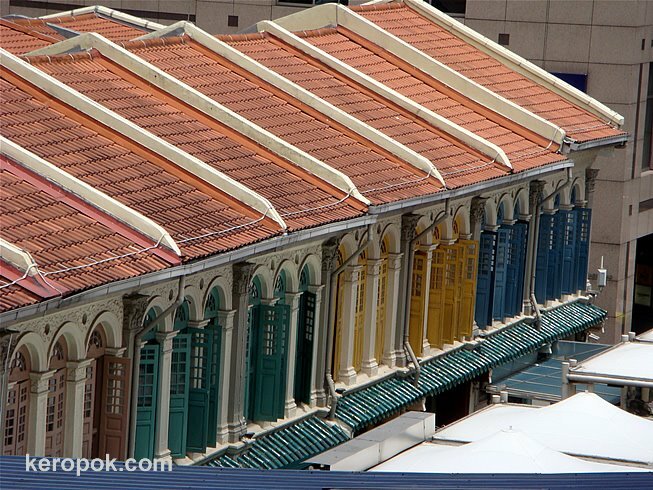 such shophouses are so quaint, i would wonder who were its original occupants everytime i pass by them... do you?